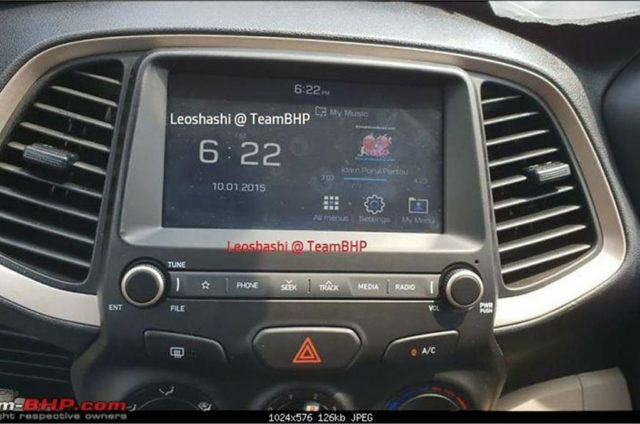 Hyundai Motor India Limited (HMIL) has its eyes firmly set on bringing the new Santro to the masses and consequently it will feature a slew of segment-first features. Having been spotted running trials during the course of this year, it clocked up miles of anticipation and is finally going on sale on October 23. Customers can pre-order the hatchback online for Rs. 11,100 now before bookings open at dealerships just ahead of its market entry. 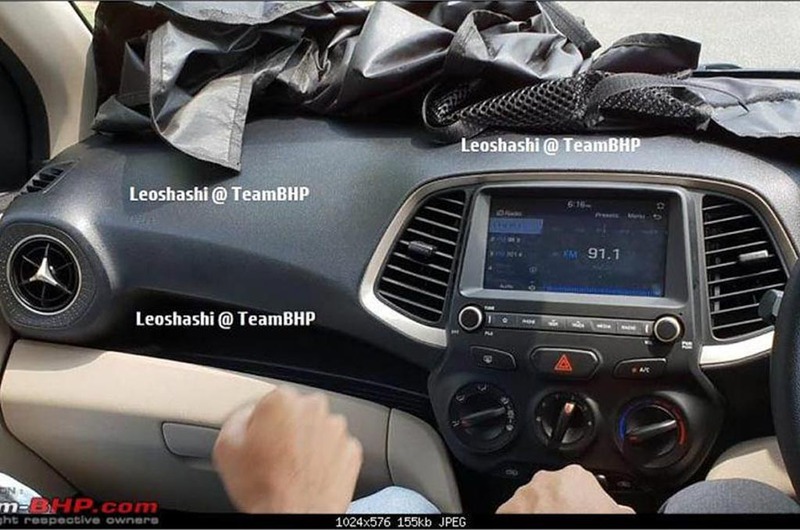 The 2018 Hyundai Santro has its interior now been caught at a dealer yard revealing the necessary cabin design. 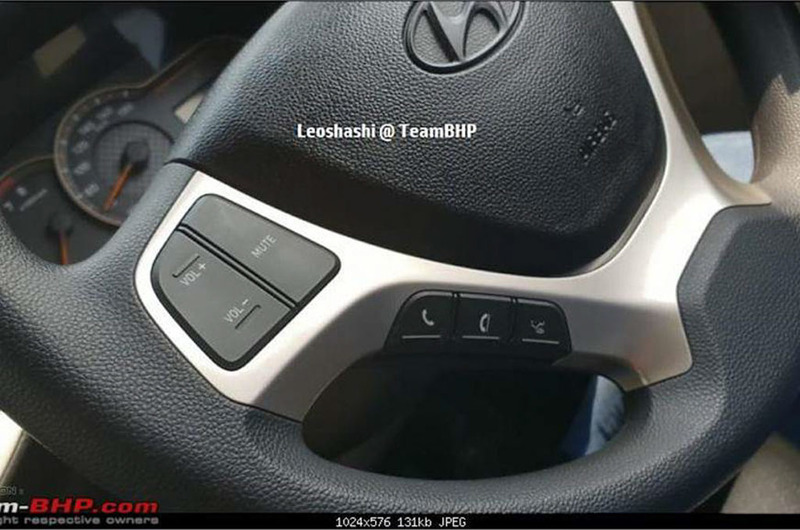 It is easy to see that the cabin layout has been well put together just like any other recent Hyundai cars. 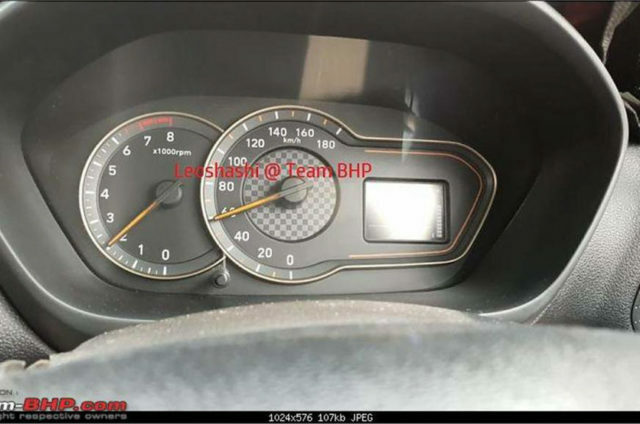 It carries dual-tone black and beige theme covering the top and bottom portions of the dashboard. The top-end variants get seven-inch touchscreen infotainment system with Apple CarPlay and Android Auto connectivity alongside MirrorLink and voice commands. Middle AC vents are an integral part of the centre console with silver surroundings and below which controls for entertainment, button for hazard warning light and rotary knobs for air conditioning are fitted. The instrument cluster boasts clearly visible tachometer and speedometer alongside multi information display indicating several details. The steering wheel has identical design to the Grand i10 and has mounted controls with brushed aluminium finish. The glove box and door pockets appear to have deep storage space as well. The new Santro is based on the updated HA platform of old-gen i10 with 63 percent high strength steel construction. 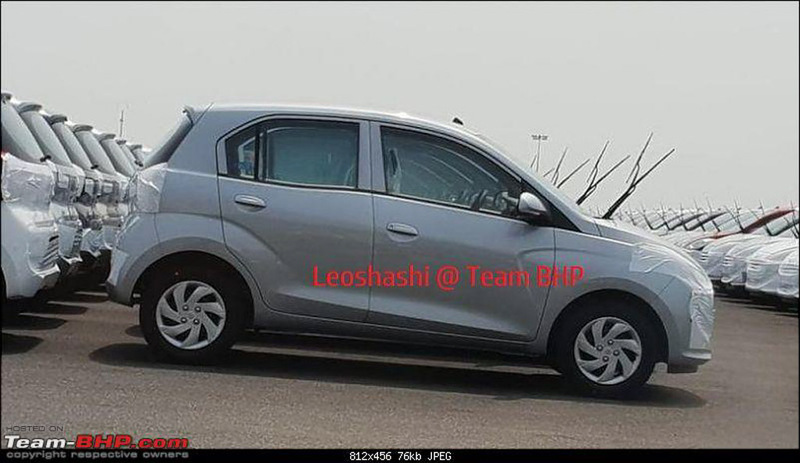 It has tallboy design as the original Santro and has good space for five occupants. The new Santro prices will have its prices starting at Rs. 3.87 lakh for the base DLite petrol and it goes all the way up to Rs. 5.29 lakh for the high-spec Asta. The two CNG variants will be priced at Rs. 5 lakh for Magna and Rs. 5.35 lakh for Sportz (all prices, ex-showroom). It is powered by a 1.1-litre four-cylinder petrol engine developing a maximum power output of 69 PS and 99 Nm, and is connected to a five-speed manual transmission as standard. Hyundai’s first-ever five-speed AMT will be offered as optional with 20.3 kmpl fuel economy. The CNG model develops 59 PS and 84 Nm and is ARAI-certified to deliver 30.5 km/kg.